Besides being a homemaker, she had worked at Fruit of the Loom and as a farm hand. She enjoyed singing and as a hobby she had learned to weave from her father which became her passion. She had made a profession of faith in Christ and was of the Baptist faith. She leaves six direct living descendants. 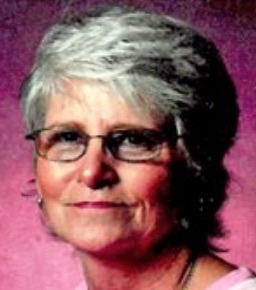 Jane Hope Hamilton, 72, Campbellsville, KY, departed this life on Wednesday, February 21, 2018 at her home in Campbellsville. The Memorial Service for Jane Hope Hamilton will be on Saturday, February 24, 2018 at 11amCT/12pmNoonET, at Friendship Baptist Church with Bro. Kent Ashley officiating. The family will receive guests at the church after 10amCT/11amET,. until time for the service. A private burial will take place at Brookside Cemetery, Campbellsville, KY.
Jane Hope Hamilton was the daughter of the late Lockard Mitchell & Mildred Woodruff Hamilton. She was born on Sunday, August 5, 1945 in Francisville, Boone County, KY, and departed this life on Wednesday, February 21, 2018 at her home in Campbellsville, Taylor County, KY. She was 72 years, six months and 16 days of age. Besides being a homemaker, she had worked at Fruit of the Loom and as a farm hand. She enjoyed singing and as a hobby she had learned to weave from her father which became her passion. She had made a profession of faith in Christ and was of the Baptist faith. Expressions of sympathy are requested to be donations to the funeral expense, Gideon Bibles or Hosparus of Green River and may be made at Lyon-DeWitt-Berry Funeral Home. 2018-02-23 - 503 E Main Street, Campbellsville, KY - Photo from Lyon-DeWitt-Berry Funeral Home.